Our Westrand team had a funfilled and successful Mandela Day volunteering at FORA and SPCA. Although this was for their 67 minutes, the team chose to rather spend the whole of Mandela Day volunteering. "What a privilege to give something back to the animals that can't speak for themselves. It was a heartwarming and emotional day but well worth it." 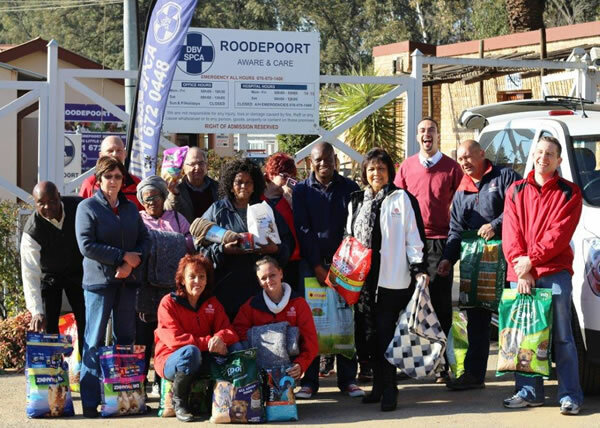 Westrand has undertaken to keep the Cause for Paws campaign running and to donate dog food every month and spend one Saturday a month walking the dogs at FORA Krugersdorp.